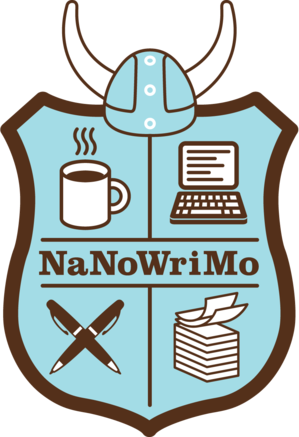 We're now about a week and a half into NaNoWriMo (National Novel Writing Month). If you're participating this year, your wrists may be tired from all the words you've written so far. Or maybe you started strong but skipped a few days to - you know - eat, sleep and converse with real people instead of the virtual ones in your head! No matter where you are, you still have time to pick it up again and keep on going. One word at a time. Sentence after sentence. Paragraphs become pages. And voila! Like magic, you've written a chapter, then two. Today I welcome to the blog writer Stephen Kozeniewski, another NaNoWriMo veteran. I love his post. Who hasn't felt this way? I feel guilty writing this. As I watch the blank screen fill up with words, and the little counter in the bottom left of my word processor go up, all I can think is, "What are you doing? You're wasting words! Casting pearls before swine! Every one of those (now 51) words could be going towards your NaNo total!" I need to relax. Take a deep breath. Remember NaNo is not all-consuming. It's for fun. Yes, it needs to be in your thoughts daily during the month of November, but it doesn't need to be the only thing on your mind, weighing you down. Writing is not a zero sum game. Just because I'm writing this blogpost doesn't mean I'm "wasting" words, any more than texting Domino's for a pizza (well, okay, I guess that's technically an emoji and not a "word") or writing a memo at work or writing a nice e-mail to my friends is "wasting" words. Words are perhaps our world's most easily replenishable resource. Each morning I look at my news sites and some of my not-exactly-news sites and you know what? The next morning they're all completely new again! It's astonishing. So don't fret. There's plenty of time to do all your regular writing, and still do NaNo. You want to know a secret? One year I refused to “waste” any words. I counted them all towards my wordcount. I went to the end of my manuscript and wrote "Appendix: the Collected Writings of Character X" (it wasn't actually X, I just can't recall which character I assigned as my faux voice.) Then I just started packing in all the crap I worked on in November: blogposts, long Facebook posts, particularly clever tweets, even a short story or two that I wanted to submit that December. You want to know what came out of that? I cheated myself. When all was said and done I didn't have a complete manuscript, or even a semi-complete manuscript. I lost focus on the novel, because I knew I could always shoehorn something else in there to buff up my word count for the day. I wasn't even really thinking about what was best for the novel, or solving storyline knots, or any of the stuff that NaNo in years past had inspired me to do. At the end I had 30,000 words and a bunch of repurposed junk. That was 2013. I resolved never to do that again. So no matter how much I want to, even now that this blogpost is up to (gasp!) 428 words, I’m not going to count it towards my word count. Even the year that I (semi) cheated, I realized at the end I easily had enough time to do NaNo and still do all of my normal, everyday stuff. This year I even finished an edit on my upcoming 85,000 word novel on November 1! If I didn’t let that slag me, don’t let any of your little issues slag you, either. There’s plenty of time for in November for all your writing. Stephen Kozeniewski (pronounced "causin' ooze key") lives with his wife and two cats in Pennsylvania, the birthplace of the modern zombie. During his time as a Field Artillery officer, he served for three years in Oklahoma and one in Iraq, where due to what he assumes was a clerical error, he was awarded the Bronze Star. 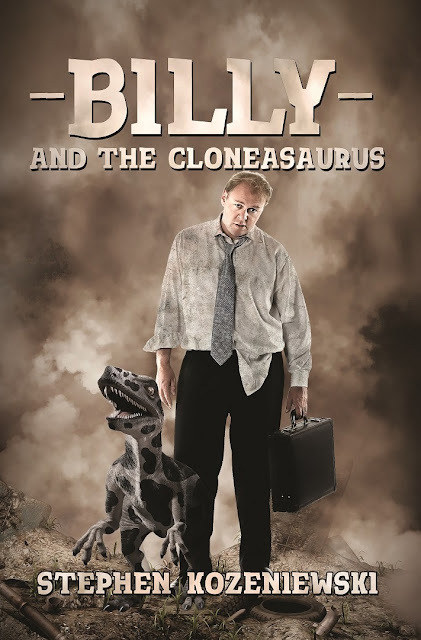 All three of his published novels (BRAINEATER JONES, THE GHOUL ARCHIPELAGO, and BILLY AND THE CLONEASAURUS) were NaNo babies.